Roger Nathan at the Ouston Circuit, nr Newcastle upon Tyne. 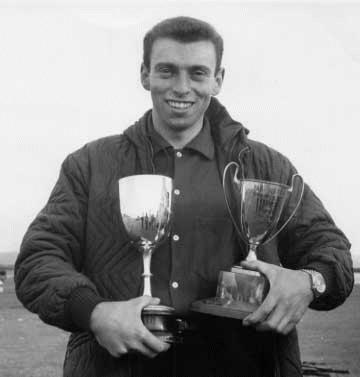 Seen here with the 'Journal Trophy' race winners cup (R/H) and a gold cup for the outright circuit record. 1965. 17 juli 1943 - alive & well. Roger Nathan is both a racer and a tuner. He made a name for himself in the early sixties racing Lotus Elites and then set up in business developing tuning kits for Imps. Roger Nathan's first event was a sprint meeting at Brands Hatch, March 1961. He finished 2nd in an Austin Healey 3000. He then purchased a Lotus Elite and an Elva Formula Junior from Bernie Ecclestone. 1963 was Roger's first full season and from there on he had a very successful career. In '66 Nathan raced the prototype Costin-Nathan (an open car) six times and won his class five times and was second once. He also set five new class lap records. A closed Costin-Nathan GT was entered for the Le Mans in 1967. The car was driven by Nathan and Mike Beckwith and is recorded as having a 1006cc engine - presumably an optimistically measured 998 to take it over the 1000cc minimum capacity limit. It retired in the fifth hour with electrical problems. Until then it had unhappily run dead last. 1963: Driving a Lotus Elite gained many outright wins and several lap records. Became the youngest driver, at 20, to win the National Autosport Championship. The year earlier, Roger Nathan (at 19) drove the Elite registered 8MPG to be the toughest opposition of John Sutton. 1964: Driving a Brabham BT8 2ltr sports car he scored 13 outright wins including the Martini International Trophy, Aintree trophy, Daily Mirror Trophy and the Onyx Trophy. He also set five lap records. 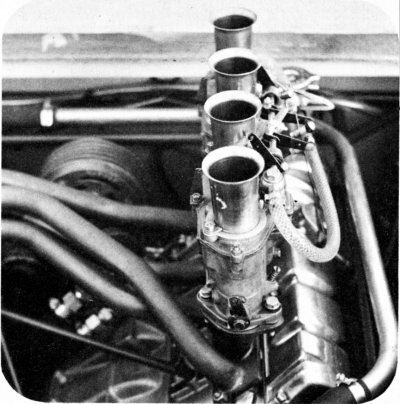 1965: Fitted a 4.5ltr Oldsmobile to the Brabham and won the Ouston Gold Cup and set a new outright lap record. At Mallory Park came third to Graham Hill and Dickie Attwood in spite of the engine giving him trouble. 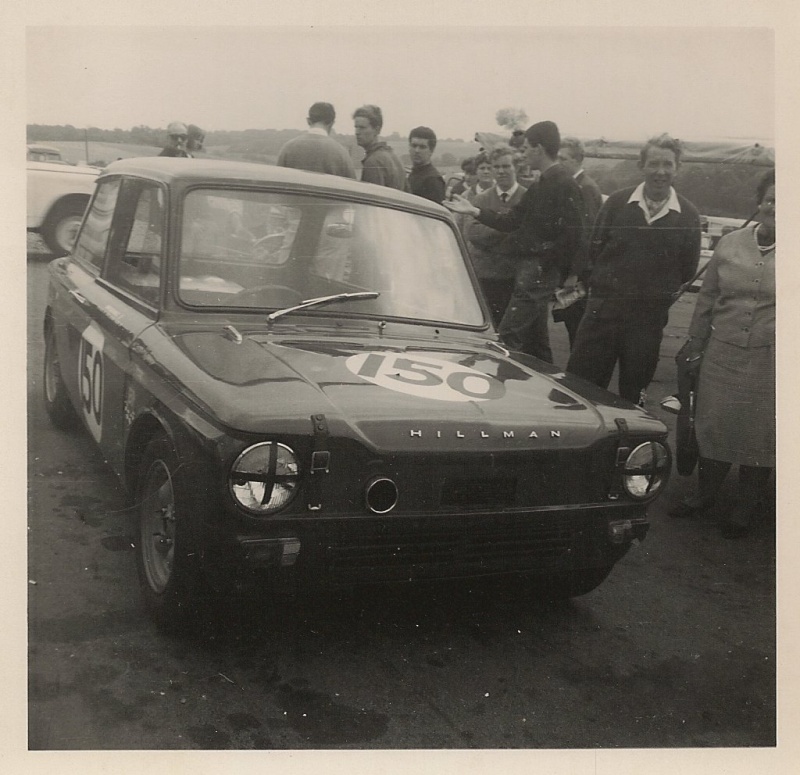 Prepared and raced a Hillman Imp and scored numerous wins and lap records. Competed at Le Mans 24hrs in Costin-Nathan GT. Retired with mechanical and electrical problems after 4 hrs. 1966: Built the first Nathan Sports Prototype. Won first five races and set up five new lap records. In the October he won the Coupe de Vitesse, defeating even the works Fiat Abarths. 1967: The Nathan GT set up six new lap records. 1968: Won outright the Motoring News GT championship and the Total National GT championship, both in his Nathan Hillman GT. Held 14 lap records by the end of the season. 1969: Displayed his new car, named an Astra Climax, at the racing car show at Olympia. This car won its first two races, gained 3rd at the Nurburgring 1000km and 2nd in the GP de Paris. In August the Astra RNR1 was fitted with the Ford Cosworth FVA engine. It won 7 times and came 2nd twice after 9 starts. It also notched up a further five lap records. 1970: The Astra RNRII made seven appearances in the early start of the season and won the International Martini Trophy, Alcoa Aluminium Trophy and the Automotive Products Trophy. Gained two second places and set up another lap record. Roger Nathan held more lap records than any other British Driver. Guards Sports Car Championship: Roger Nathan in a Costin Nathan-Imp came 3rd in class (Upto 1150 cc) and came on a shared 4th overall, gathering 13 points. 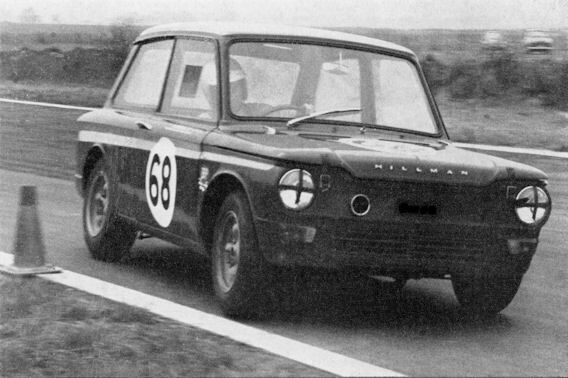 Westover Saloon Car Championship: Roger Nathan in a Hillman Imp came 3rd in class (Up to 1000 cc, behind Bernard Unett and Ray Calcutt - both in a 1.0 Hillman Imp), gathering 16 points. 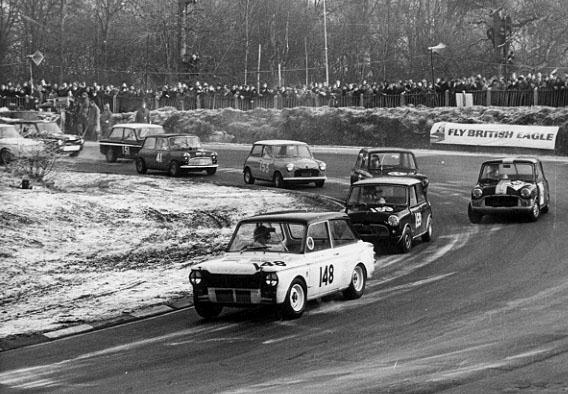 1) Ray Calcutt - Fraser Imp; 2) Ian McDougal - Broadspeed Cooper S; 3) Alan Harvey - Autocadia Cooper S; 4. Roger Nathan - Nathan IMPudence II; 5) Capt Ken's car; 6) Mac Ross - MAC10 Cooper; 7) Tony Taylor - Hartwell Imp; 8) Bill McGovern - Paul Emery Imp; 9) Peter Brown - Frazer Imp; 10) Martin Maudling - Ford Anglia. Photo by Robert B. in France, sent in by 'sterling49' to forums.autosport.com. According to sterling49 "all of Robert's photos are from 1964, maybe a few from 1965". Even as early as 1964, Nathan Imps carried a BP sticker on the front wing, as seen on one of the photos in his autobiography. Are these orange coloured alloys (IIRC) - these look as if they could be coloured, rather than 'silver'. Nathan Imps always featured orange. The wheels on the Impudence II were perhaps magnesium 'Brabham Wobbly Webs' or maybe likelier Brabham F3 wheels. Impudence II, prepared by Roger Nathan Racing Ltd. The downdraught carburation on the Nathan G.T. The engine is canted over in the opposite direction to standard.